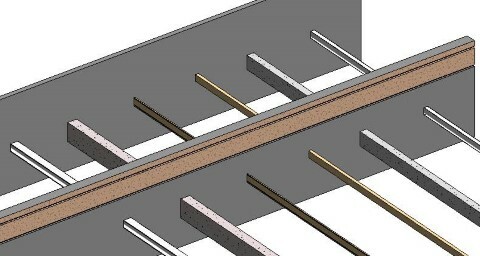 The software lets MEP engineers define and reserve holes which structural engineers and architects can review, revise if needed, and validate. It then automatically inserts openings with fire safety components into the architectural or structural model. It does so based on opening locations and types of clashes with building structures, as well as the predefined sizes and joining intervals for ducts, pipes, cable trays and conduits. Cut Opening defines and reserves spaces in Revit® models for ducts, pipes, cable trays, and conduits. Structural engineers and architects can then review, revise, and create the approved holes with just one click. Suitable openings are designed automatically based on the location and types of clashes, predefined cut offsets, joining intervals, clashing intervals detected for MEP elements in current, linked, or IFC files. Cut Opening inserts Fire Dampers in accordance with information from clash detection and structural elements’ fire rating. 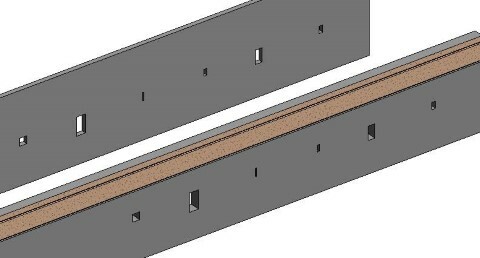 This application for Revit inserts structural openings to structural walls in cases when architectural walls, windows, and doors are separated from the structural walls. Enhance BIM-team work and deliverables for integrated project delivery (IPD). Cut Opening is an advanced solution for opening creation in Revit® Model based on best international practices and the experience of top Revit users. This Revit extension detects clashes between current, linked or IFC files and inserts required openings to the model. Structural openings can be added to separated architectural and structural models, as well as fire dampers to ducts clashing with walls with fire rating. Cut Opening is capable of working with Structural Framing category! Time-Saving Modeling Process. 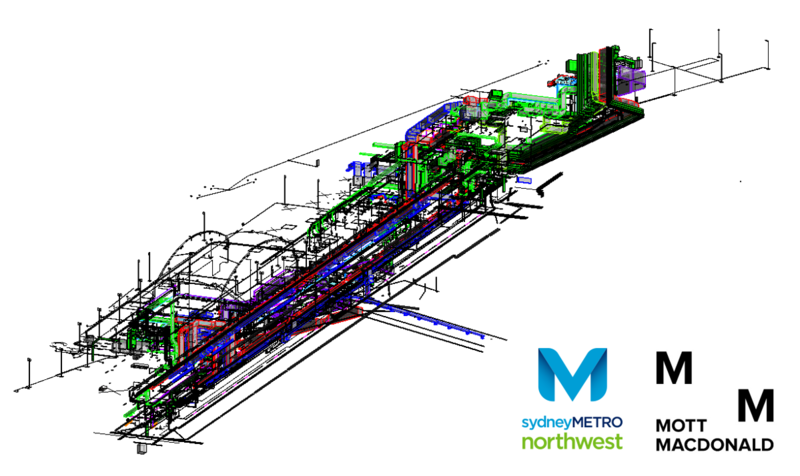 Engineers can save time by instantly inserting hundreds of openings into their Revit model. For example, the user finds position and adds 5 openings manually in 1min. User can spend the same time adding 500 openings for filtered elements using Cut Opening. Easy Control Process. All openings are grouped together in one convenient dialog where user can apply different filters. Automated navigator and automated section box allow seeing elements where the openings are or will be created. Error Prevention. If there are any changes in the model, Cut Opening updates openings and allows user to avoid mistakes and control all design process. Revit users will save hundreds of hours per project using Cut Opening automation of routine functions and during early identification of design errors. - Salman Pey, Head of BIM at Niras A/S, Denmark. - Stanley Mok, Project Manager at Good Year Engineering Ltd, HKSAR. - Ke Cragg, Engineering Technician at NCC Deutschland GmbH, Germany. "I really appreciate the great support AGACAD delivered. They solved our project specific problem with great dedication and patience. It saved a lot of time as comparing to creating openings one by one by hand." - Ágúst N. Jónsson, Construction Architect & BIM consultant at Verkís Consulting Engineers, Iceland. "I am really happy with this product and looking forward to see more." - Edgardo J. Lopez, Industrial Sprinkler Corp., Puerto Rico. "Outstanding tool. Made my day... 'cause it is easy to use and when I run the Interference check (either in Revit or Clash detective in Navis) it saves time due to unnecessary clarifications and acceptance of these clashes. Thanks for this tool that thinks of our needs as designers!" - Daniel John Davies, ICT / BIM Coordinator at Balslev Consulting Engineers A/S, Denmark. "This tool is worth the money and is a big time saver. I would say that it has already paid for its self on the first project. 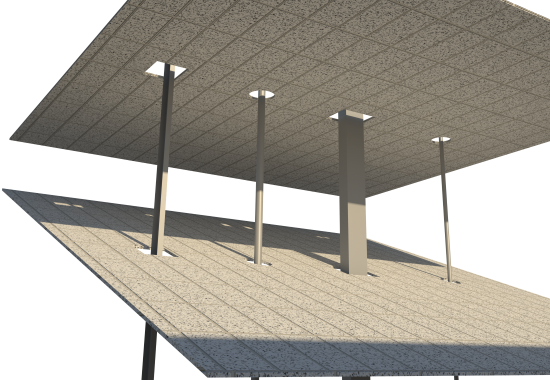 Approx 800 holes in concrete prefab elements and floors for Electrical, water and ventilation models."